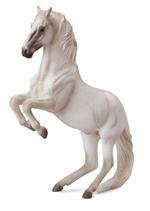 Great for the young and the young at heart, Breyer horse toys and collectibles are a wonder to behold. From the traditional Breyer horses for sale to the Winddancer collection, you’re sure to find the perfect gift for the little one in your life, for yourself, or for a fellow Breyer horse fan. Bringing fine traditional American items since 1885 in their Ocean Park mercantile shop, Jack’s Country Store is proud of each item the make available for sale. They are also happy for the opportunity to bring a little bit of the old-time general goods store feel to the online audience across the nation. Offering metal detectors, food items from the Pacific Northwest, Breyer horse toys, and so much more is a way for those who can’t make it into the stick and brick shop to have the traditional experience. Whether you’re shopping Breyer horse accessories for a fan of the line or looking for a Radio Flyer wagon, we have exactly what you need—and what you may have trouble finding elsewhere. 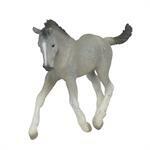 If you know you want to shop Breyer plush horses, you can easily find our selection. If you just love traditional American wares, plan on browsing here for awhile. You’ll be amazed at the unique and varied items you’ll find.Plan to even get a little nostalgic when you shop. If you love it all can’t narrow down a gift in the Breyer horses for sale, our E-Gift Certificates are perfect. And, just like back in 1885, if you don’t see something you’re looking for, let us know. We can try to track down what you need. Breyer Model Horses Accessories - Scaled to fit Breyer's Traditional Size Model Horses. From blankets, to English and Western bridles and saddles, Jack's Country Store stocks a large selection of Accessories and Tack for Breyer Model Horses. 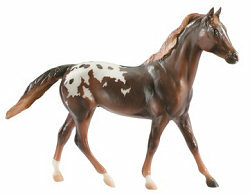 Breyer Activity Kits come in a variety of styles. Are you a budding artist or sculpture? Do you prefer Paint by Number or Free Style? Our Breyer Craft, Paint, and Activity kits offer a large variety of creative, artistic play for any Breyer fan. 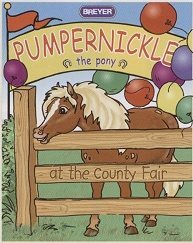 Coloring Books and Activity Books for the young horse lover. 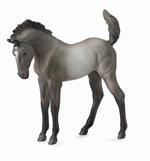 CLASSICS™ Designed for authentic and imaginative play offering younger collectors realistic horses and excellent collectibility, Classics™ are created with the same care and devotion as Breyer®'s Traditional™ line! Sculpted in 1:12 scale. Pony Gals feature long, soft manes and tails and hand-generated magical actions that are perfect for playful young horse lovers! And they have lots of fun accessories! 1/12 Scale. Stablemates™ model horses and animals are as beautifully detailed as Breyer Traditional™ model horses and offer variety and lots of accessories. Fun to play with and collect! Sculpted to 1:32 scale. 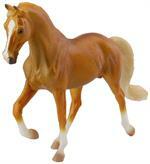 Stablemates are an affordable Breyer model option. From the Dog Breeds of the World Series by Breyer and Collect A. Bulldog's disposition should be "equable and kind, resolute, and courageous, and demeanor should be pacific and dignified. Add realism to your child's barnyard play set with CollectA's lifelike Friesian Cow, also known as the Holstein. The black and white Friesian is easily recognized by its markings, and is highest producer of dairy products in the world. The Haflinger breed was developed in the 19th century, in Austria and Italy. This relatively small horse is hardy and well suited to life in the mountains. The Haflinger is strong enough to pull carts and carriages and big enough to carry adult riders. From the Dog Breeds of the World Series by Breyer and Collect A. The German Shepherd is a breed of medium to large-sized working dog that originated in Germany. The breed's officially recognized name is German Shepherd Dog in the English language. 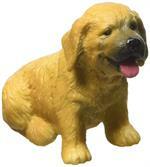 From the Dog Breeds of the World Series by Breyer and Collect A. Although Golden Retriever need substantial outdoor exercise, they should be housed in a fenced area because of their instinctual tendency to roam. The 1.8''L x 1.4''H Golden Retriever Puppy is just one of the many beautifully sculpted pieces in CollectA's Cats and Dogs Collection. Scale is 1:18. Designed for endless hours of play. All CollectA models are crafted to the highest standards. CollectA's Donkey Foal (Grazing) is realistic and lifelike in every detail, from its shaggy fur to its long ears. The donkey foal makes a wonderful addition to your child's make-believe farm or barn-yard play set. Measures 2''L x 1.8''H. The Andalusian is also known as the Pure Spanish Horse and CollectA' s Andalusian Stallion Grey is purely beautiful. 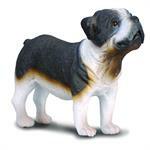 Lifelike and realistic in every detail, this gorgeous model measures 6.7''L x 4.9''H. CollectA's Lipizzaner Stallion is posed in the ''levade'' position, just one of the dressage exercises these beautiful horses perform. This 3.9''L x 5.7''H figure of a Lipizzaner Stallion beautifully represents this rare, unique breed. Schnauzers have a double coat. The top or guard coat is wiry, while the undercoat is soft. 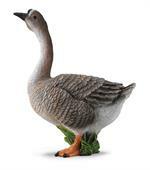 From the Farm Animals Series by Breyer and Collect A. Geese are monogamous, living in permanent pairs throughout the year, they are territorial only during the short nesting season. From the Farm Animal Series by Breyer and Collect A. Before hatching, the hen can hear the chicks peeping inside the eggs, and will gently cluck to stimulate them to break out of their shells. From the Farm Animal Series by Breyer. Many strains of Hereford have used other cattle breeds to import desired characteristics, and this has led to changes in the breed as a whole.